Surprising pretty much no one, Google has revealed that the next major version of Android, version 8.0, will be called Android Oreo. The name was revealed earlier today during a live stream following the solar eclipse. More on that name. The name ‘Oreo’ has been licensed from Nabisco, but if you recall, this isn’t the first time Google partnered with a company for an Android name. Android 4.4 was called KitKat, and through that partnership we saw Android-branded KitKat bars in stores all around the world. Who’s looking forward to Oreo boxes with Android branding? I know I am. I’m just glad they didn’t choose something more awkward like Ozark Pudding or Oliebol. First and foremost, Oreo will bring a number of behind-the-scenes changes like background limits for apps to improve battery life, Bluetooth audio improvements, Google Play Protect to help on the security front, and other important changes in vital system behavior for apps built for Oreo. Android Oreo will also bring faster boot speeds (up to twice as fast on the Pixel), a much better Autofill implementation, plus support for Android Instant Apps. There are also some user-facing additions such as adaptive notification dots, wider support for picture-in-picture mode, over 60 new emoji, a new look for media notifications and the quick settings menu, a redesigned settings menu, adaptive icons, notification channels, and, of course, the Octopus Easter egg. To learn more about all of these features in greater detail, check out our Android 8.0 features and changes article. This final version of Android 8 won’t introduce many changes that we didn’t already see in the other Android O developer previews. It’s basically a much more stable version of what we’ve seen before, but that’s certainly not a bad thing. When will your phone get the Android 8.0 Oreo update? Good question. Google says Android 8.0 will begin rolling out to all current Pixel and Nexus devices – the Google Pixel, Pixel XL, Pixel C, Nexus 6P, Nexus 5X, and Nexus Player – sometime “soon”. If you happen to be enrolled in the Android Beta Program, your device will automatically be updated to the stable build of Android Oreo. 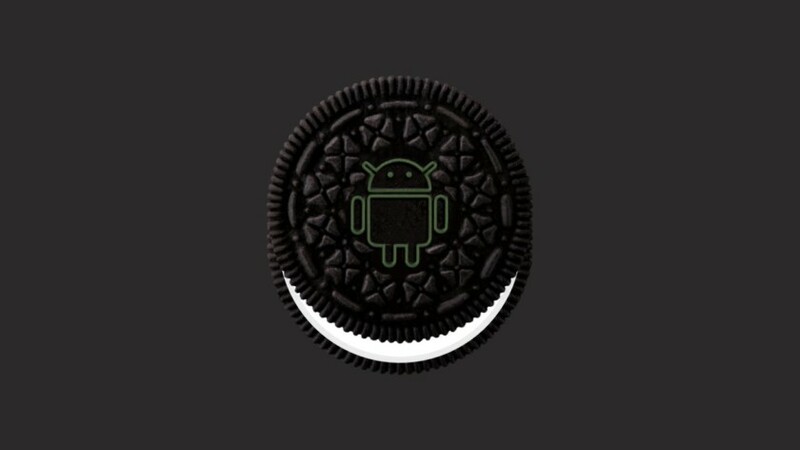 Google also notes that it’s been “working closely” with partners, and by the end of 2017, hardware makers including Huawei, HTC, Essential, General Mobile, HMD Global, Kyocera, LG, Motorola, Samsung, Sharp, and Sony are all scheduled to launch or upgrade devices to Android Oreo. For those who aren’t keen on waiting for the over-the-air update to hit their devices, factory images will be available sometime, again, “soon” at the Google Developers website. By the way, if you’re a factory image-flashing newbie, we recommend checking out our how-to guide for the full instructions. Of course, this is just the beginning. We’ll be diving into Android Oreo over the next couple days, so keep it tuned to Android Authority for all the details.